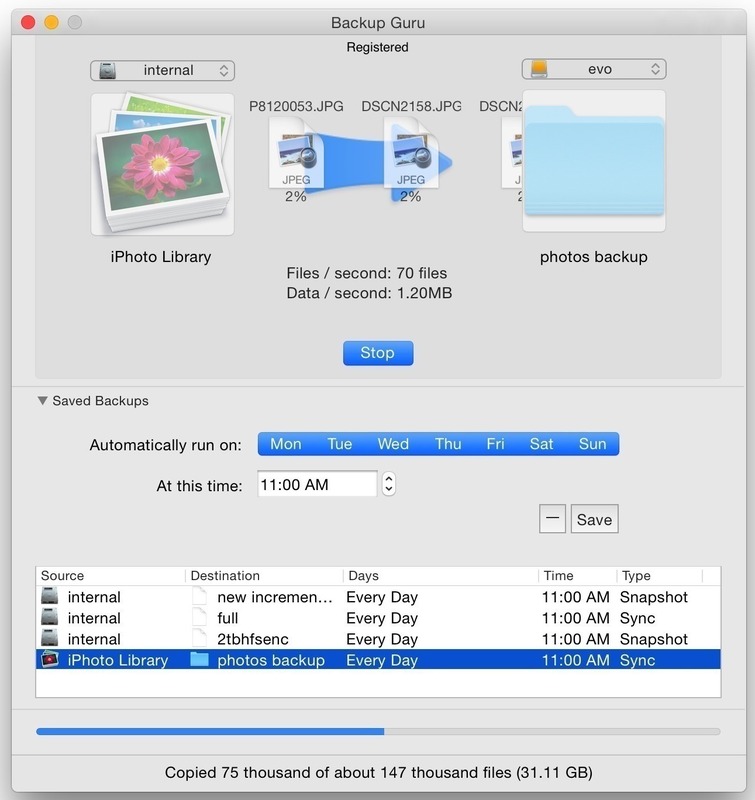 Mac Backup Guru provides a simple and reliable bootable backup solution. The philosophy behind Mac Backup Guru is that of the utmost importance is that the backup or sync is reliable. And the other most important attribute is that it’s simple to use. Mac Backup Guru provides bootable backup, normal backup, and sync following this philosophy which you will see in its design pattern. If want solid functionality over bells and whistles, this was designed for you. Next story Gear Player 2.3.8 – Music player for Google Music and YouTube. Previous story Mac Data Recovery Guru 4.0.3 – Data recovery software. Carbon Copy Cloner 4.0.6 – Easy-to-use backup/cloning utility.